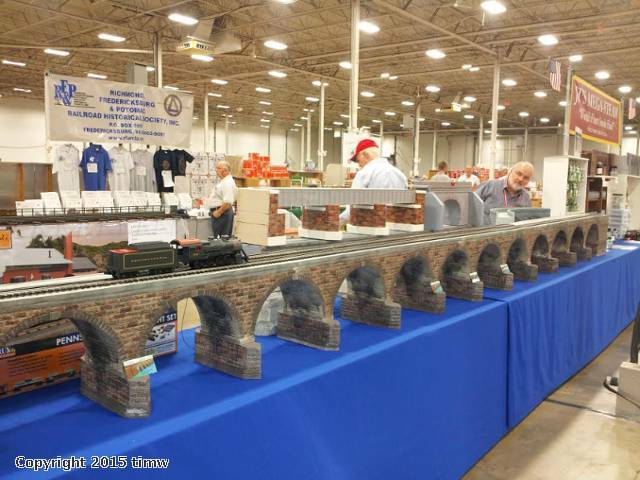 Here are a couple of shots of my 20 foot long, 13 arch viaduct, prepared for the 2015 Greenberg Train Show in Chantilly, VA this past week-end. 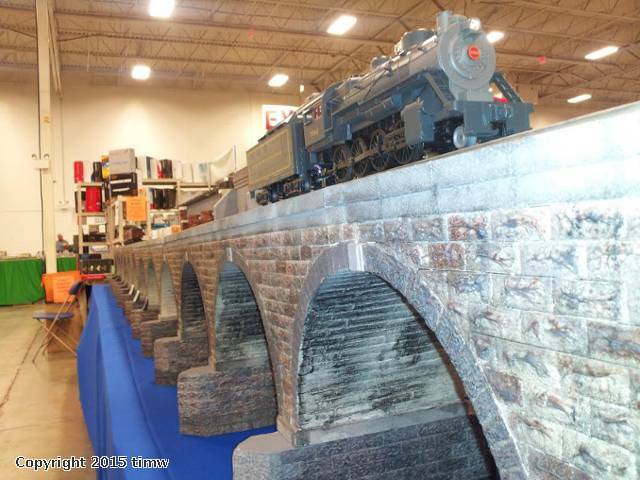 This bridge can be viewed in person at the upcoming York meet, and can be found at the display of JT's MegaSteam Smoke Fluid. 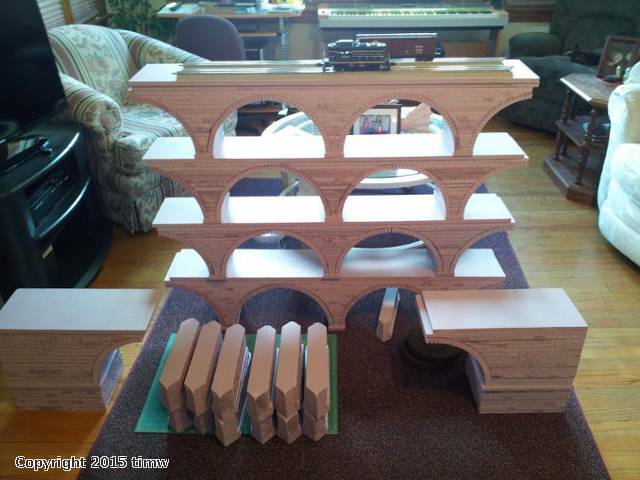 This entire bridge weighs a mere 30#'s, and consists of 4-4 foot sections, and 2-2 foot sections, that adjoin. 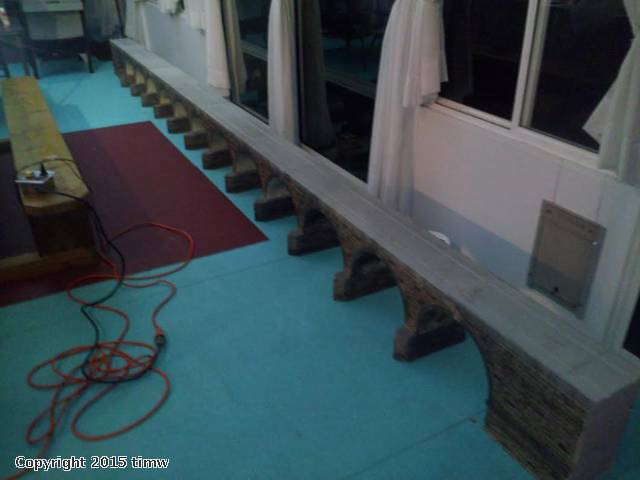 Other than the wood deck, the bridge is made entirely from building foam, handcrafted, by me personally. 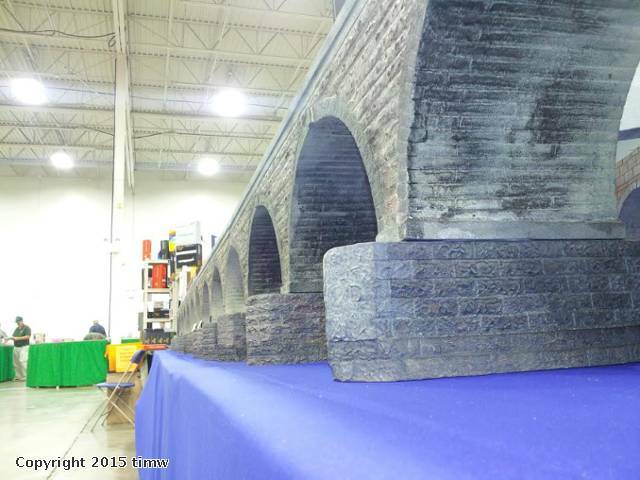 I realize that this bridge is likely much longer and altogether larger than you might want on your layout, but if you would like to discuss another, or obtain a quote for a bridge from me, simply email me and we can talk.